All VILLAGES AT COUNTRY CLUB homes currently listed for sale in Mesa as of 04/23/2019 are shown below. You can change the search criteria at any time by pressing the 'Change Search' button below. "Perfect Location! 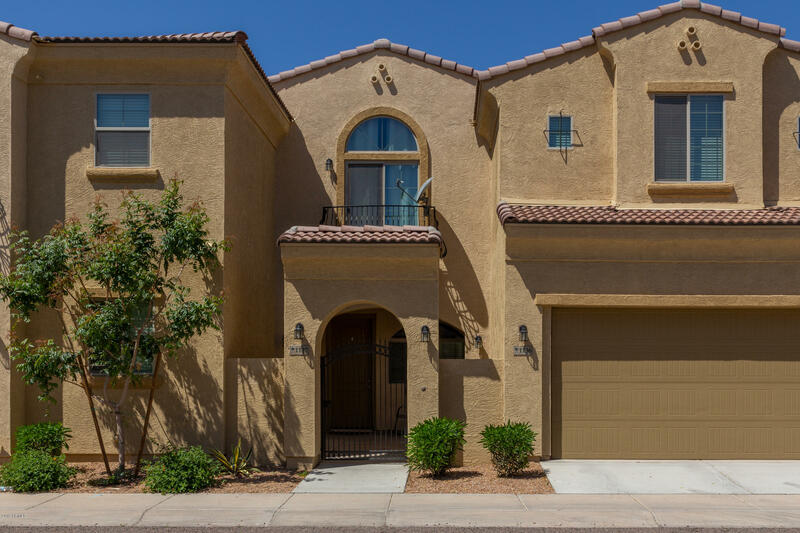 Beautiful 4 Bedroom/ 2.5 Bath / Built in 2016 Townhome in Mesa's resort-like community, The Palms. Gated courtyard welcomes you home to awesome E-Z living! Move-In Ready! Great room floorplan with open Chef's kitchen featuring 36'' cabinets, granite countertops, pantry, spacious island, and SS Frigidare appliances. All secondary bedrooms are good-sized w/ inviting upstairs landing. Master suite boasts sliding glass door mini-balcony, two closets, dual sinks and large shower. Al"